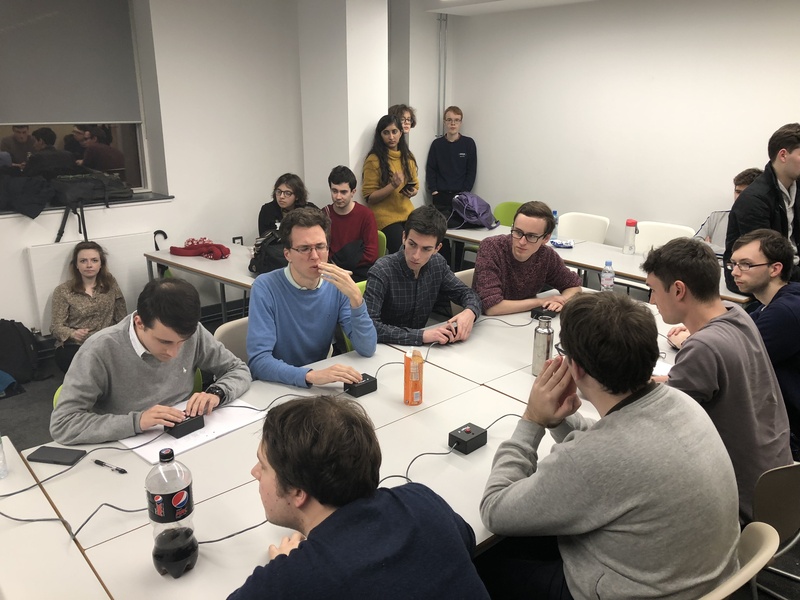 Last Saturday, ten teams came to Oxford Brookes to compete in one of the most challenging tournaments this semester, the Hard Oxford Tournament (HOT). The summary statistics from the day are available here, while advanced statistics from all venues across the world can be found here. We asked some players and moderators to share their experiences from the day for the UKQB blog. Just up the hill, Oxford Brookes is the ideal location for Oxford teams – it’s nice and close, and we have to do none of the work of organising rooms for it. Our morning got off to a good start, marred only by our loss to Cambridge A, and showed us a balanced team, with each member contributing similar numbers of toss-ups. A top-bracket afternoon offered challenging matches, but, led by Claire Jones, we held our own, getting our revenge on Cambridge A, and, in by far our most entertaining game, beating our own A team by over 300 points. A couple of close defeats left us as spectators to the three-way draw before the finals, but we were left hopeful of doing even better at further tournaments. 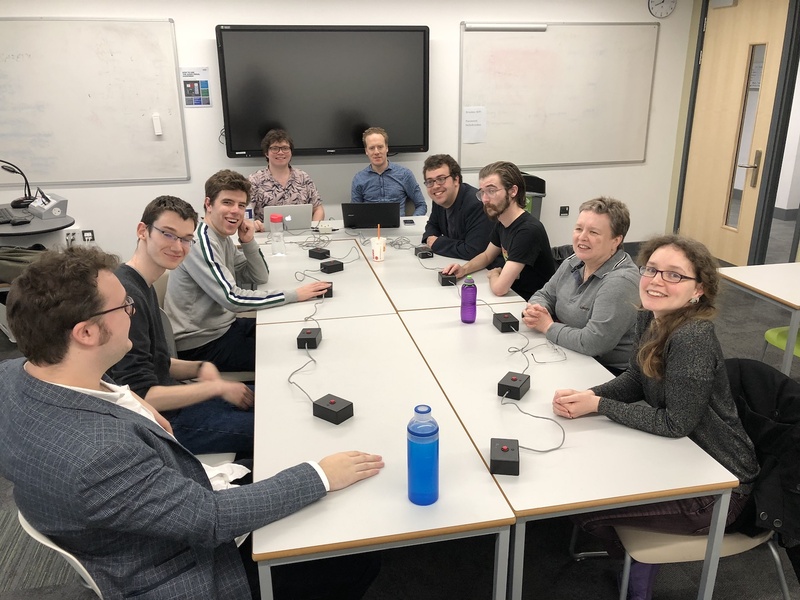 We had some of the strongest student quizbowl players in Scotland on the Glasgow team for HOT, with Dan Arribas possibly being the best student classical music player in the UK, so we were keen to find out how we measure against elite opposition like top Oxford and Cambridge teams. We realised, however, we had little chance at winning overall, especially since our team — three mathematicians and an engineer — lacked a science specialist. After two dignified, but unavoidable losses in the morning to Cambridge A and Oxford B, we ended up in the lower bracket for the afternoon, where we eventually enjoyed winning two close and exciting games against Oxford C (whose Alexander Hardwick managed the undisputed best buzz of the day after just seven words in a tossup) to end up on top of the bracket. As usual, Dan managed some incredible buzzes on music questions, while I enjoyed first-clueing computer science and taking advantage of my Russian heritage to answer some more tossups. Overall, placing fifth in such a strong field was a definite success, and we all really enjoyed the location, the work of the tournament director and moderators, and the post-quiz pub, if anything, made the trip down south worth it. Cambridge A deep in thought in the final match against Oxford A.
ACF Regionals is always an entertaining set — challenging, certainly, but invariably well-written and fun to play on. For most of our players it was their first experience of this level of tournament, and in this role of introducing players to the next level it always does excellently. Cambridge A went in expecting to end up third, perhaps second if we were lucky. The morning went well, with comfortable wins in all our games. The top bracket, on the other hand, was all over the place in the afternoon — scorelines between the same teams flipped wildly between games, so you could never be completely sure what you were up against. We had a harrowing loss to Southampton in which they got the last tossup and all three bonuses to win by the tiniest margin of five points. Otherwise, we scraped home past Oxford A on the last tossup, came back against Oxford B from a hundred points down… it was all a bit dramatic. At the end of the day, we needed to beat Southampton twice in a row to get to the final, and we didn’t feel that secure. With both teams pulling off some dominant streaks and some ridiculous buzzes, we luckily made it through, both scorelines a bit closer than we’d have liked. The final was a rather curious affair. Having got to this point, we half-expected Oxford A to come out all guns blazing and take the title, but as the first few questions rolled by — medicine, musicals, Renaissance painting, Aztec myth — we built up a slightly strange streak. Not having expected this at all, it was an odd experience, but by halftime we’d made the score 280 to -10. After this, we started to relax a little. Our eventual win rounded off a delightful, if tiring, day of quiz. Thanks to everyone who made it come together! Moderating at the Oxford Brookes ACF Regionals 2019 site was lots of fun. I was paired up with Tya Raikundalia from the host institution for her first time moderating a full tournament. It was also each of our first times using the full advanced stats suite that ACF mandated for this year, so we had to contend with technology while the competitors were battling questions. I think we managed to go undefeated, which even the winning Cambridge A team cannot claim to have done. There are two benefits of moderating that I always forget. First is how much less stressful it is: you’re not trying to win or burrowing into forgotten depths of your mind to remember who wrote Joannes de Boetgezant. Second, and relatedly, getting to see teams, and quizbowl as an activity, from a different view: it’s nice to be happy when at team you’re not on gets a hard bonus right, instead of thinking about how that’s made the game slightly tougher to win. And, happily, it was a day in which every team had at least a few moments of brilliance.